When you’re stuck between a rock and a tough place, desperation can kick in. After an arrest has occurred and you’ve recognized the need for a bail bondsman, the last thing that you want is to let your emotions take over and end up with a less than reliable bondsman. If you’re weighing your options, today’s blog post is for you. We are going to cover a few of the qualities that you should look for in the bondsman that you choose to hire. If you’re reaching out to a bail bondsman for assistance, you want to make sure that they are being patient with you. When a loved one is in jail, emotions are running wild and your brain is searching for answers on how to handle the situation. The bail bondsman that you choose to work with should be understanding of this situation, primarily since they’ve dealt with many cases prior to this. As we briefly mentioned above, the process of reaching out to a bail bondsman is one that can leave you stressed and overwhelmed. While patience is something that you want to have in a bail bondsman, it’s not the only area that should cater to the heightened emotions that you’re experiencing. Customer service is another aspect that you’ll want to look for in any potential bail bond company that you consider. It’s important to remember that while they are the ones helping you, they are also the ones working for you. Make sure to find a bail bond company that assists you and provides you with the services that you need and incredible customer service as you work with them. With any individual that you’re considering hiring you want to find someone that has some experience and the same goes for bail bonds. Bail bondsmen that have some experience and background in the industry are going to be extremely helpful in making the process fast and easy, but they’re also much more likely to provide you with a great experience. Whether it’s information that you weren’t aware of, guidance on how to proceed, customer service or the like, a bail bond company with some experience is always going to be the better option. No two cases are the same, and the same can be said about the bonds that will be set. For that reason, you want to make sure that the bail bondsman you work with pays attention to detail and recognizes the components that make your case different from the rest. When you have a bail bondsman that pays attention to your case and the small details that separate it from the rest, you can feel confident that there won’t be any mistakes made. In the end, all you want is to be in good hands that will take care of you, right? While your bail bondsman isn’t a legal professional, they should have some knowledge of crimes and how they’re handled. 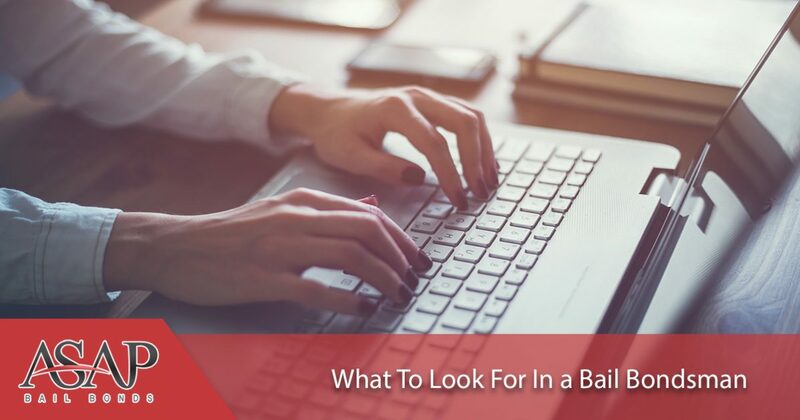 The process of posting bail is one thing that they should be extremely familiar with and plays a big part in the quality of service that they’re able to offer you. They should also have a general knowledge of crimes and how they correlate with the bond that was posted. After all, your bail bondsman should be a resource for you as well. Very rarely do arrests happen at convenient times where you’re adequately prepared. In fact, it’s because of the inconvenience of an arrest that bail bonds exist at all. For that reason, it’s good to find a bail bond company that offers their services 24/7. Regardless of if it’s in the middle of the night, a weekend, or the middle of a workday, you want to find a bail bond company that you can rely on when you need them the most. One of the best ways to get an idea of the quality of a bail bondsman is by looking at reviews. This is, without a doubt, a great way to hear what other individuals who have worked with this particular bail bond company have experienced. From customer service to the ease of communication and the procedure as a whole, you can never go wrong choosing a bail bondsman with reputable, positive reviews. Finding the right bail bondsman for your case can be overwhelming, but it doesn’t have to be. Use the information in this blog post to narrow down your options and find the individual that will provide you with the absolute best services. One thing that we know for sure is that ASAP Bonding is able to provide you with the bail bond services you need and we meet every qualification that we’ve covered above. That being said, if you’re in need of a reliable and efficient bail bondsman in the Lawrenceville area, it’s time for you to call ASAP Bonding. Our team has been providing the Lawrenceville and surrounding areas with the bail bonds they need to get their loved ones out of jail. Reach out to us today, and we’d be happy to walk you through the process of getting the money that you need to post bail. Let our team know if there are any questions or concerns that we could clear up for you along the way. 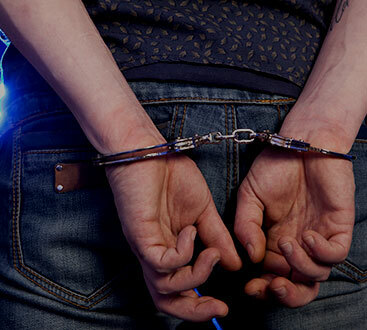 We work diligently to provide you with the fastest bail bond services in the area. What are you waiting for? Call us now!